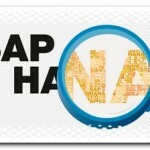 SAP HANA Purpose |Why SAP HANA| What is SAP HANA? 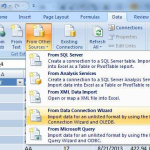 Enable process oriented BI from SAP BW/Non SAP OLAP data sources. To create hybrid in-memory database using advance process. 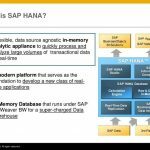 How to retrieve data from DATA providers to SAP HANA? Trigger-based replication using SAP Landscape Transformation replication server is based on capturing database changes at a high level of abstraction in the source ERP system, this method of replication benefits from being database independent and can also parallelize database changes on multiple tables or by segmenting large table changes. Extraction transformation loading based data replication uses SAP BO data services to specify and load the relevant Business data in defined periods of time from an EPR system into SAP HANA database. You can reuse the ERP application logic by reading extractors or by utilizing SAP functional modules. In additional, the ETL based method offers for the integration of third-party data providers. Transaction log-based replication using Sybase replication is based on capturing table changes from low-level database log files. This method is database dependent. 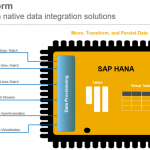 Database changes are propagated on a per database transaction basis, and they are replayed on SAP HANA database. This means consistency is maintained, but at the cost of parallelization is not being used to propagate changes.